People power won the day yesterday as councillors voted to reject plans for a housing scheme which attracted more than 600 objections. 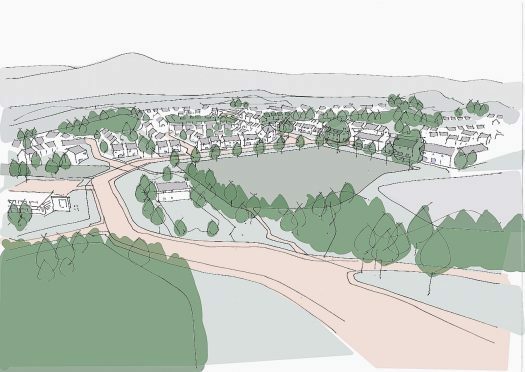 The proposed 300-home development near Scolty Hill at Braehead, south of Banchory, would have been made up of a mix of private rented, affordable and assisted living homes. The plans also included a new stop-off point for the Deeside Way and land for a new school or community centre. Developer Sandlaw Farming had claimed the project would meet demand for affordable homes, with more than 10,000 people currently on the waiting list for council housing. But local councillors and residents disputed the developer’s suggestion, and raised concerns the housing estate would destroy the character of the area. Councillor Linda Clark said: “The developer wishes to leave a legacy – a legacy of 300 houses in an area of great natural beauty. Last night Mike Adams, spokesman for the Stop Scolty Redevelopment campaign group, said: “We are of course delighted that the council have again listened to the community, planning department and local councillors in voting to unanimously reject planning permission at Braehead.